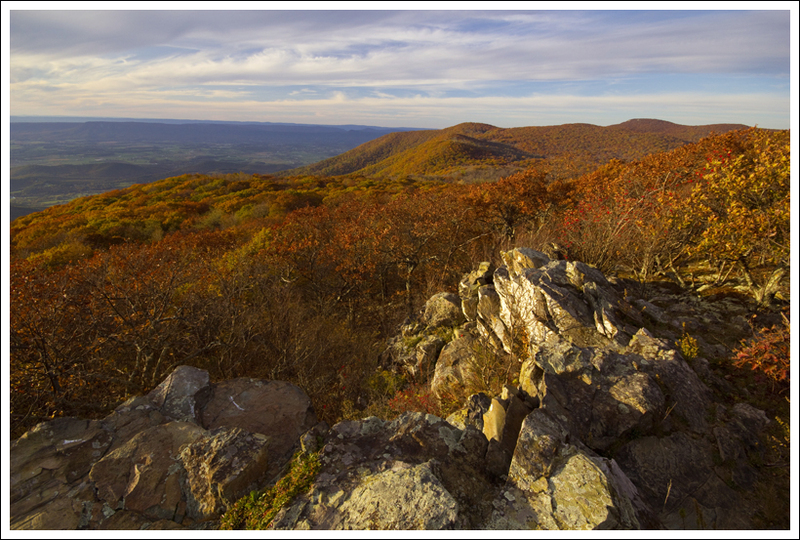 Foliage in Shenandoah National Park is at its peak – maybe a little past! These photos are from a couple short leg-stretchers, too short to be called true hikes. Enjoy! 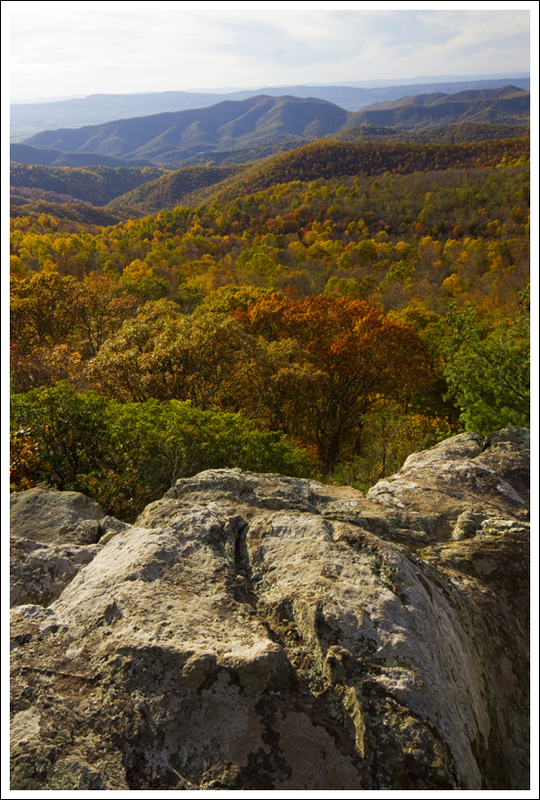 The Point Overlook on Skyline Drive has a short trail that leads down to a beautiful rocky outcropping. Looking back toward Hawksbill Mountain. 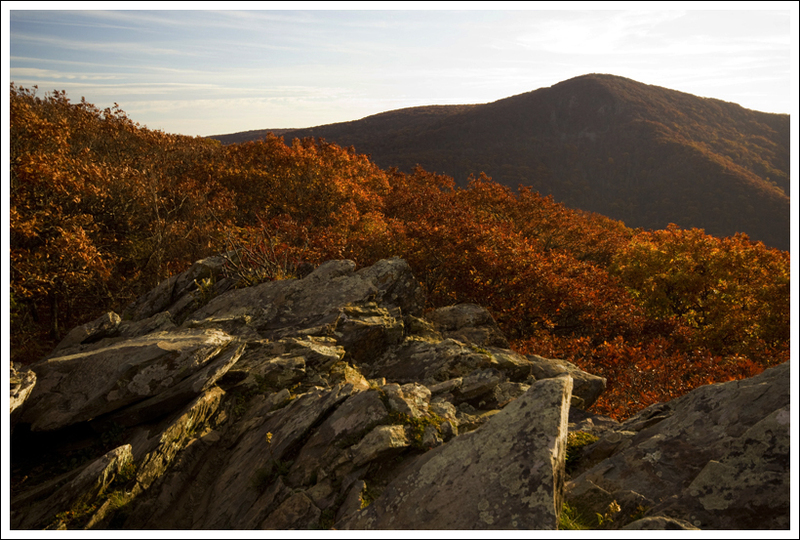 Crescent Rock is a short hike from the same-named overlook along skyline drive. The trail starts at the north end of the parking area. 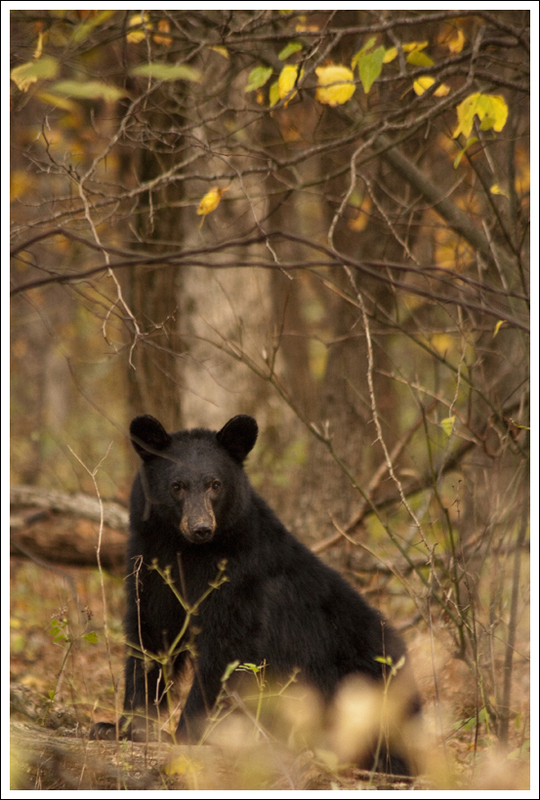 We saw a couple bears in the park. This one was the more photogenic of the two. 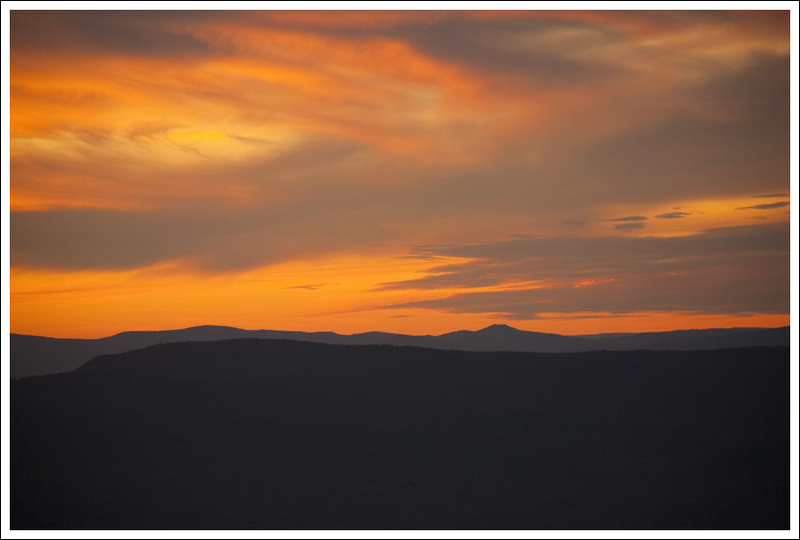 At the end of the evening, we were treated to a beautiful sunset!